Mumbai, September 11, 2018 – Larsen & Toubro Infotech Ltd. (NSE: LTI, BSE: 540005), a global technology consulting and digital solutions company, has been recognized as a U.S. market leader for its Next-Gen ADM offering overall and in the BFSI segment by Information Services Group (ISG), a leading global technology research and advisory firm. 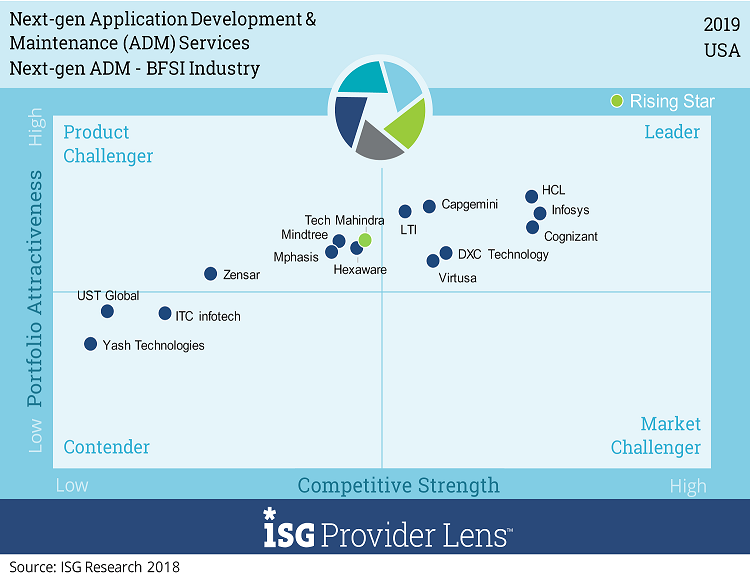 In the BFSI segment, the report highlighted LTI’s rich domain experience; next-gen solutioning in the form of developing emerging technology solutions leveraging the next wave of the BFSI client investment; and co-innovation initiatives and “finnovation” pods; as major strengths. These strengths have reinforced the company’s position to bag strategic deal wins in the U.S. BFSI sector. Domain experience: LTI’s has an extensive experience in building large-scale solutions for its BFSI clients. The company has constructed a complex derivatives-settlement platform, with the ability to settle $60 trillion worth of derivatives trade. LTI has also built one of the largest global custody platforms, and one of the largest data lakes in the industry, to manage financial & regulatory reporting for one of the largest global banking institutions. 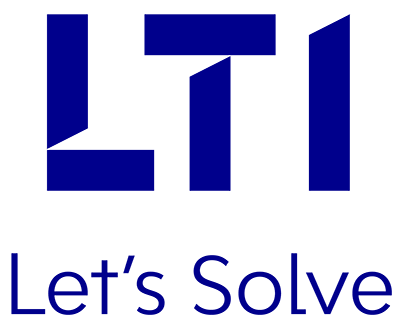 Next-gen solutioning: LTI has developed emerging technology solutions to benefit from the next wave of client investment in the BFSI industry. The company has developed 30+ solutions across AML, KYC, risk & regulatory, asset management, connected insurance, trade finance, and cards. Some of these transformative solutions include blockchain for trade, machine learning for financial crime investigation, automated claim adjudication reducing the loss adjustment expenses, selfie-suite for underwriting with minimal questions, and various technologies for LTI’s investor services automation stack. Co-innovation initiatives and “finnovation” pods: In 2017, LTI initiated around 50 co-innovation efforts for the BFSI segment, including hackathons, and collaborations with financial & insurance tech companies and academia. The company has also built five Finnovation pods for its clients, which include innovation labs and experience centers. In the BFSI space, the report mentioned the organization’s full-stack of banking and insurance offerings, covering both traditional and digital business areas of banking, financial services and insurance organizations. Along with an expanding partner-ecosystem, the report considered LTI to be aptly positioned to cater to the new-age digital problems of the U.S. BFSI industry.